The preservation of artworks is a core function of museums and art galleries. But some artworks can prove difficult, even impossible, to maintain because of the nature of the materials used in making them. 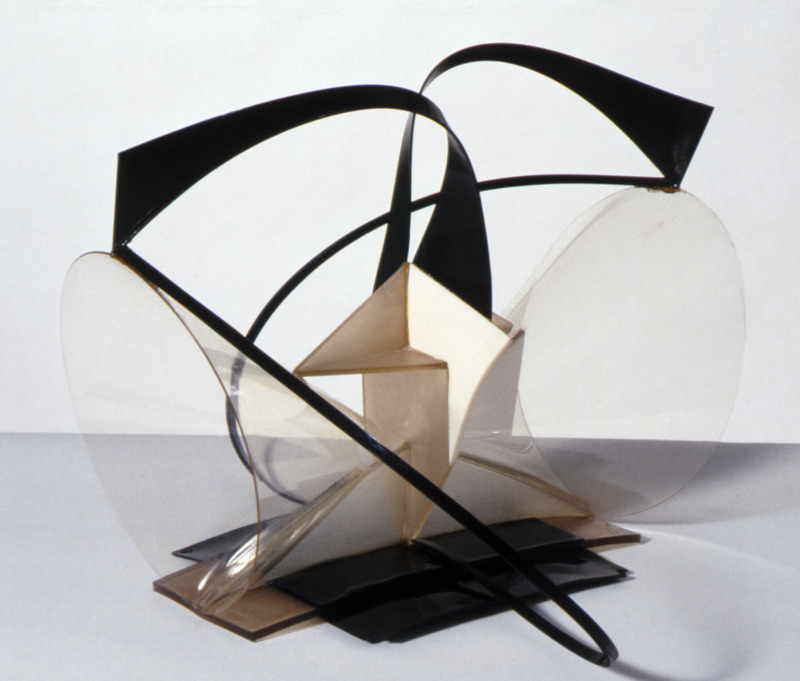 This week the Gallery of Lost Art looks at why both versions of Russian sculptor Naum Gabo’s Construction in Space: Two Cones can no longer be displayed. In the interwar years new types of plastic became widely available. Believing that artists should make use of these new materials to bring the ‘constructive thinking of the engineer into art’, Gabo seized upon celluloid acetate for its transparency and malleability. In 1936 he used this machine-made material to make Construction in Space: Two Cones, an abstract sculpture that combined geometry with a sense of movement. The work was bought by an American collector and later given to the Philadelphia Museum of Art. By 1960, however, the plastic had begun to warp and crack. Blaming the museum for the conditions in which it had stored the piece, Gabo examined the sculpture and declared it irreparable. 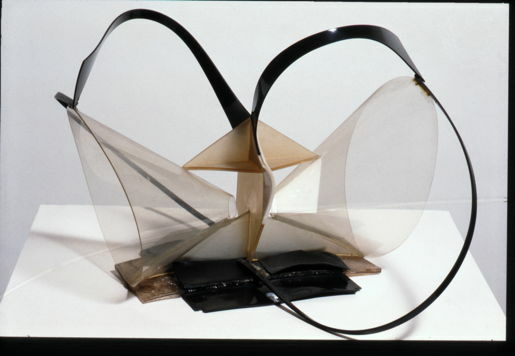 However, he made templates of the work’s different elements and from these later constructed a replica, which in 1977 he gave to the Tate Gallery. Gabo refused to accept the growing evidence that there was an inherent problem in the manufacture of the cellulose acetate he used. But it is now understood that at some point this particular type of plastic will begin to deteriorate, transforming its pristine and translucent surfaces to discoloured shards. Gabo was not among those artists who are content to use materials they know will not survive: he hoped and believed that the new industrial materials he was using would have longevity. 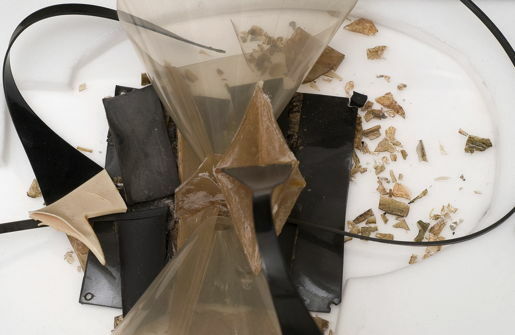 The sad fate of the now lost Construction in Space: Two Cones shows the risks sometimes inadvertently run by artists who use new or unconventional materials.